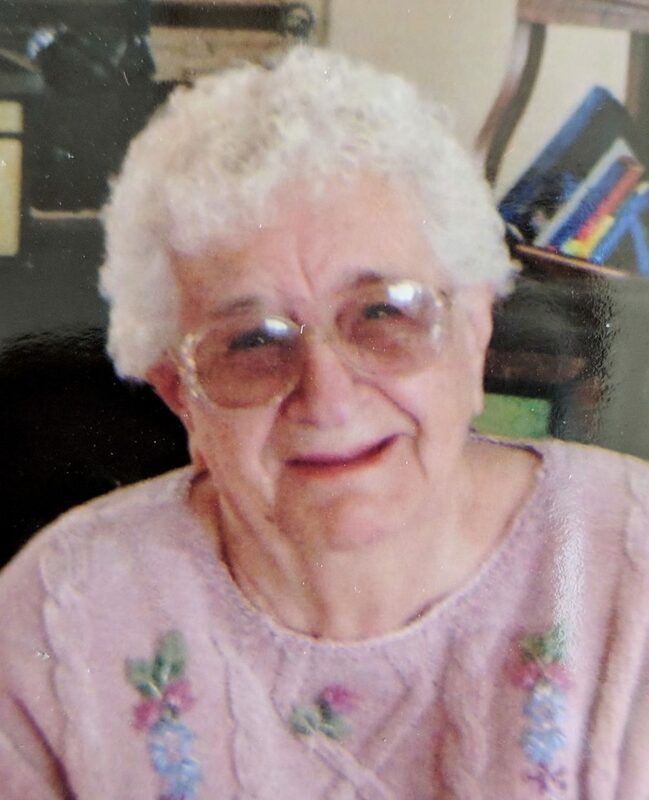 Lois Elaine Fiscus, 89, a former New Raymer-area resident, passed away on March 16, 2019, at the North Colorado Medical Center in Greeley. She was born Dec. 13, 1929, in Warrens, Wis., to David and Freida Alvard. Lois graduated from Longmont High School in Longmont, Colo. On June 28, 1947, she married Glen E. Fiscus in St. Francis, Kan.
Lois and Glen lived in the New Raymer community for more than 35 years, where they raised four children. Lois was a cook at the Prairie School, preparing and serving meals for hundreds of students for 18 years. In 1982, the couple moved to Eaton and operated the Wagon Wheel Café. After the cafe closed, they returned to New Raymer, where Lois stayed active in the local community. She continued to cook and bake for family and friends, and was known for her excellent pies, cinnamon rolls and krautburgers. She enjoyed crocheting, reading and playing bingo. For many years, she made birthday cakes, afghans and photo albums for her grandchildren and great-grandchildren. The couple returned to Eaton in 2011 and resided in Benjamin Square. Lois is survived by her husband of 71 years, Glen Fiscus; daughter Sandra Patti (Joe) and son Lonnie Fiscus (Marj), both of Cheyenne, Wyo., and daughters Connie Shapley (Leland) and Rita Breazeale (Virgil), both of Eaton; nine grandchildren and numerous great-grandchildren and extended family. A visitation was held March 19, 2019, at Heer Mortuary in Fort Morgan. The funeral was March 20, 2019, at the New Raymer Community Church, with interment at the New Raymer Cemetery. Friends may make memorial gifts to the Friends of Raymer c/o Heer Mortuary, 225 E. Platte Ave., Fort Morgan, CO 80701.